With these sorts of stats, it's a miracle that anyone gets hired! As a home-based Resume Writer, you can help clients gain successful employment by crafting a resume that stands out from the crowd. By using persuasive words, creative phrases, and formatting you can create a powerful image that sells your candidate to an employer. Here's what you need to know about working from home as a Resume Writer. There's not a college degree specifically for resume writers, but English, journalism, communications and business degrees tend to offer the necessary skills that are needed for this career, which is, strong written communication skills and the ability to write persuasively. Sometimes your work experience may be enough to give you the necessary proficiency for this career. If you don't have a college degree or related work experience, but you're an excellent writer, there are many online courses and certification programs that can get you up to speed. In fact, Dr. Heather Rothbauer-Wanish started her Resume Writing business this way. “In 2008, I began my business, Feather Communications. At the time, I was working full-time and had just completed my MBA. I have always enjoyed writing and started thinking about how this love for writing could be turned into a business. At first, I wrote articles for local and regional publications and solely viewed my endeavours as a ‘side business.’ As I began branching out into other writing areas, I realized that not only did businesses need excellent content, individuals did as well. How much do Resume Writers earn? According to Study.com, Resume Writers can earn an average median salary of $58,850 per year. Where do you find remote resume writing jobs? There are a couple of routes you can take with resume writing. 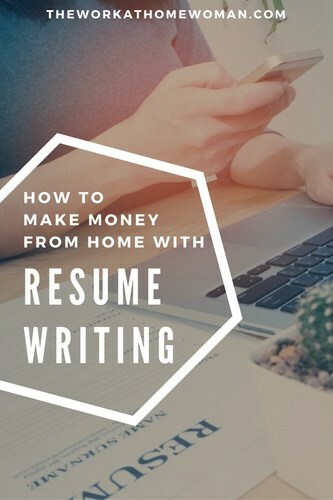 One, you can work for a resume writing company as an employee or freelancer, or you can start your own resume writing business from home. Here are the best places to search for resume writing jobs. Prefer to start your resume writing business instead? Like any other home business, you will need to educate yourself on the best business practices, file all of the appropriate paperwork, and get your legal and financial ducks in a row. Once you set up the preliminary business framework, you can start working on the fun parts of your business. There are many different career niches you can specialize in, such as legal, accounting, sales, tech, insurance, healthcare, and on and on. While some resume writers are generalists and work with anyone, it is much easier and more lucrative to choose a specific niche. Figuring out what niche you want to focus on can be a challenge, but if you mind-map your passions, interests, experience, and knowledge you can narrow it down relatively easy. Think about it this way. If you were searching online for a Resume Writer and you're applying for medical positions, wouldn't you want someone who specializes in this area and knows the correct jargon for this industry?! To be competitive as a Resume Writer, you need to have a website. Having this online presence will help you attract more clients, it gives you a place to showcase your work, list your services and testimonials, and it makes you look more professional. Does setting up a website make you nervous? Don't be. With advances in technology creating your own website is easier and more affordable than ever before. This post has step-by-step instructions that will have you up and running in no time – I promise! There are tons of ways to promote your resume writing business; the thing you need to remember is consistency is key. Choose two to three methods that you think you’ll enjoy doing and spend time each day working on those methods. 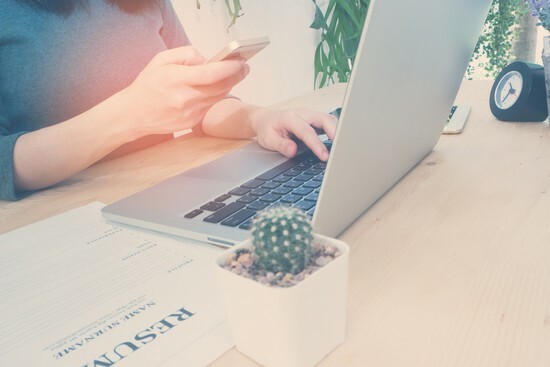 Now that you’ve got your website in place and you’re actively marketing your business, it’s time to connect with potential clients. Some experts believe you should follow up with five to ten new prospects a day until you have a constant flow of clients in your pipeline. 4. Invest in your resume writing business. As your cash flow builds, you’ll want to reinvest some of it into professional development. Luckily, they are events, conferences, webinars, teleconferences, online courses, books, membership sites, mastermind groups, and coaching sessions – there is something to fit every budget and every niche. By investing in yourself and your business, you gain the knowledge, information, and skills to make your resume writing business a success. Need more tips for working from home as a Resume Writer? Seasoned veteran, Liz Searcy shares some great advice for running a successful resume writing business from home in this interview. Originally published February 25, 2009. Revised on November 29, 2016.